Marianne Ragins Can Inspire Your Audience Today! If your audience needs motivation, inspiration or information, call Marianne today to be Your keynote speaker! Marianne is considered to be one of the first students ever to win $400,000 in scholarships. She is also someone who persevered to do something no one in her world had ever done by instigating her own scholarship bonanza and incurring zero student debt to get a bachelor’s and master’s degree. Using anecdotal stories and humor, Marianne takes audiences on her journey from small town dreamer in a family with no collegiate background, who’d never traveled to more than two states in her life; to how she became a scholarship guru, international traveler, college graduate, and an achiever for all of her girlhood dreams using three guiding principles to shape her decisions. Marianne can provide motivation and inspiration to help your audience realize their dreams and create their own success. Additional and customized presentations are also available. For over two decades, motivational keynote speaker Marianne Ragins has been giving presentations to thousands of individuals throughout the country. Contact her today to inspire and motivate your group! Our most popular seminars are the Scholarship Workshop presentation, a one, two or three hour interactive workshop; and the Scholarship Workshop Boot Camp, a full day and a half of activities designed to help students and parents leave the weekend with scholarship essays, résumés, and applications completed and ready to go. 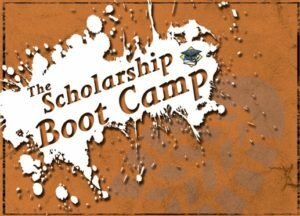 The Scholarship Workshop presentation and the Scholarship Workshop Boot Camp are both interactive seminars designed to help students conduct a successful scholarship search from the research involved in finding scholarship money to the scholarship essays, scholarship interview tips and strategies involved in winning them. Need a shorter time frame? We can work with you to customize a scholarship boot camp or scholarship workshop for your audience and schedule. In The Scholarship Workshop presentation, speaker Marianne Ragins proves that it is not always the student with the best grades or the highest SAT scores who wins scholarships. Instead she shows students of all ages that most scholarships are awarded to students who exhibit the best preparation. By attending The Scholarship Workshop presentation, a student will be well prepared to meet the challenge of finding and winning scholarships. Whether the student is in high school, currently enrolled in college, returning to college, planning to go to graduate school or interested in studying abroad, The Scholarship Workshop presentation is a necessity for those who want to pursue their educational goals. In The Scholarship Workshop presentation, speaker Marianne Ragins shows students that anything is possible if they have the self-motivation, determination, and persistence to succeed. If you are interested in having Marianne Ragins as your keynote speaker for a general audience on one of the topics included above or a custom topic, click here or you can visit our contact page. 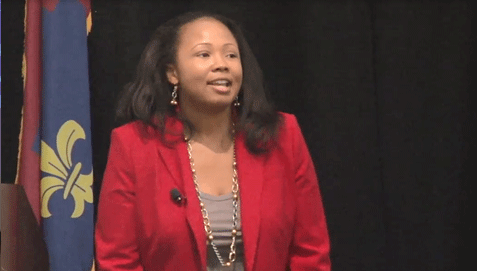 Ragins can also speak at graduations: contact her to be your next commencement speaker! Does your audience need a motivational push to help them define their goals and achieve their dreams? Do you need an inspirational storyteller with humorous anecdotes to wow your audience?